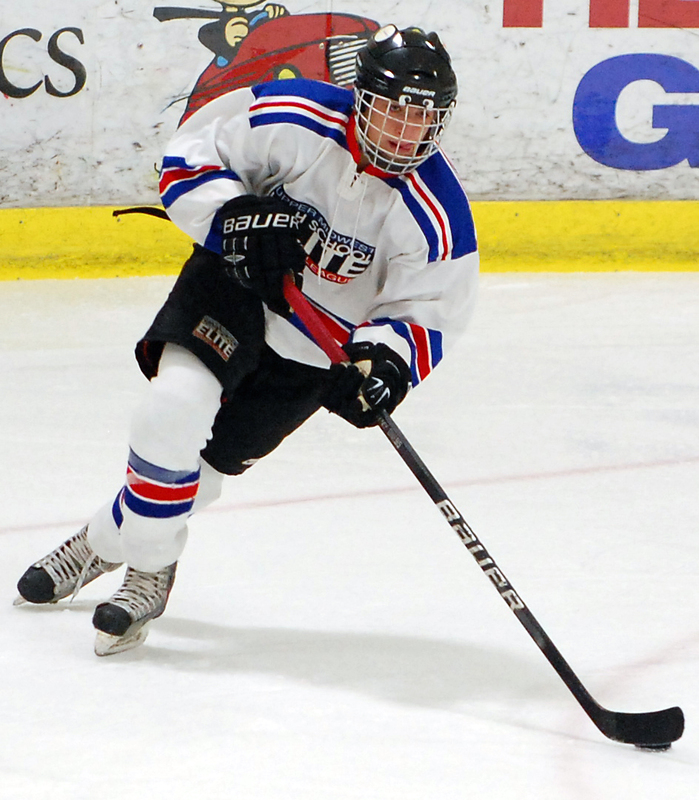 He idolizes Detroit Red Wings mighty mite Pavel Datsyuk, enjoys reading about coaching icon Herb Brooks, plays for a hard-driven and highly successful coach who just happens to be his father and, on occasion, will listen to old-school head bangers AC/DC. 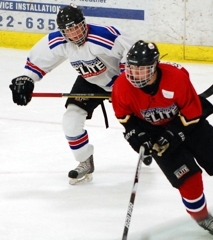 There is no way to neatly categorize Duluth East junior Jake Randolph, who by sharing his wide variety of interests and influences in a recent Q and A session with the Hockey Hub also offered clues about his approach to playing hockey. 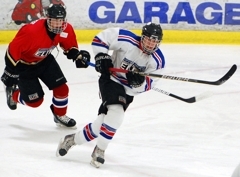 The 5-foot-8, 163-pound Randolph is in his first season playing forward for Team North in the Upper Midwest High School Elite Hockey League. And while Randolph’s point totals are respectable (two goals, five assists through 12 games) it is his attention to detail, especially in the defensive end, that makes him so valuable for the league’s top team through Oct. 8. Randolph is more of a playmaker than a scorer, as evidenced by his point totals (five goals, 31 assists) last season for the Greyhounds, who reached the state tournament for the 16th time in the program’s history. Randolph’s father, Mike, is the Duluth East coach, and Jake’s defensive hustle and positioning and all-around awareness are tip-offs that he is a coach's son. We asked Randolph what it has been like playing for his father, to describe his most embarrassing moment and where he goes to get his fix of rink rat hockey. Question: Tell us a little bit about your game. What part of your game can the average fan expect to see when you play? Answer: I’m not really a goal scorer but I like to make plays and do the little things. I just think to myself, ‘Don’t turn it over.’ ’’ That’s pretty much what I do. Q: How much influence, as a little guy all the way up until now, has your father (Duluth East coach Mike Randolph) had on your thinking and the little things that you do. A: A ton. He knows a lot about the game. He taught me a lot when I was little. I’ve always listened to what he says. He’s a big reason why I’ve gotten to this league (Upper Midwest High School Elite Hockey League), too. Q: Is it tougher to find more time and space in this league that in the high school league? A: I think it is about the same. It depends on what team you are playing. If we are playing Eden Prairie, it’s probably like this pace out here. Q: Today you were put in a penalty kill role, because there were a ton of penalties. Is that something you have done a lot of? How comfortable are you on the (penalty kill)? A: It’s probably my weakness, actually. I don’t really like penalty kill. I didn’t kill penalties at all last year. So it’s kind of new to me. I never killed penalties in Bantams either. I don’t really like it. But it’s kind of fun blocking shots for the team. Q: Tell us a little about your (Elite League) linemates and what it has been like playing with those guys? 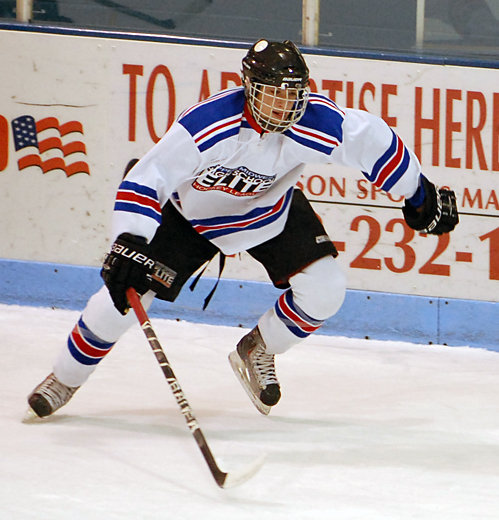 A: (Duluth East’s) Dom Toninato, our center, I’ve played with him since squirts. So we have a lot of chemistry. (Edina’s) Benny Walker, he’s a good player. He’s got quick feet. I don’t know, we have a pretty good line going. I like it. Q: How is this experience of playing in the Elite League going to help you and the Hounds for this upcoming season? A: It is going to help a lot. I know the pace now, there are a lot of good players out there. It will be really fun. We should have a good team. Q: The state tournament experience, how would rate that in your life? A: The best. I want to go down there so bad again. There’s nothing as fun as that. Q: Are you surprised at all that you are doing so well in the league as a team, right up there at first or second place? A: Not really. Every one of our guys is giving a good effort. Usually the tam that plays most like a team … these Cities guys, they have skill and everything, but sometimes they don’t come together as a team. We’ve definitely done that. A: One time I got food at lunch. We had mozzarella sticks, so we had the sauce and everything. I spilled it right after I got it in line. It went all over my clothes. My pants, shoes, everything. It was pretty bad. Pretty embarrassing. Q: What’s your favorite rat spot? Where do you like to go? A: Glen Avon. All the time. Q: Was it your idea when you were little to go to the outdoor rink or was it your dad pushing you out the door with skates over your shoulder? A: No, I’ve always wanted to go to the rink. I love that. It’s my favorite part of hockey. There’s nothing better than that. No coaches out there. Nobody yelling at you. It’s just having fun with your friends. Q: How much of that are you able to do during the high school season? A: Every Sunday we have a day off, so I go there. Sometimes if I don’t have any homework after school, and we have practice, I go there later that night. Credentials: Randolph, whose father, Mike, is the highly successful Duluth East coach, led the Greyhounds in scoring last season with five goals and a whopping 31 assists in 31 games. Favorite NHL player? Pavel Datsyuk. He’s really smart. He takes the puck away from other guys. I really like him. Last book you read? It was this biography on Herb Brooks. I really liked it.